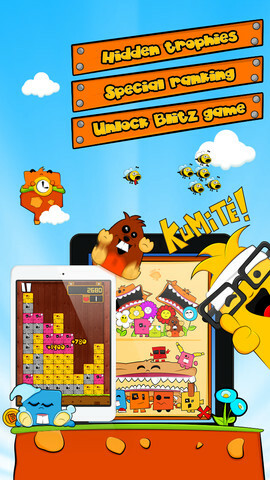 Around november 2012, for Numbees, everything starts with a simple arcade/puzzle game, but while playing to the prototype, it quickly became obvious that the game would be far better under the form on an educational game. The app was released on the 01 april 2013. From the development early stage to the store it takes a little less than 4 months. Our favourite feature is the arcade game. It’s quite challenging to get passed the level 20. The Kumite mode is also very pleasant. The funniest screens is maybe the list of result after everything has been unlocked and all the characters appears at the same time. It’s funny and gratefull because to get there you have to struggle a bit. One thing that is really fun is after some time playing the game the you can really progress with your speed in mental calculus. It’s the main thing we were not sure it would really works well, but it does and that’s cool. What age range would this app most suitable? It’s not really suited for preschool children. But it’s suitable as soon as the children start learn counting with the addition. Academy and arcade are very accessible. Yes we gathered already some feedbacks. We are going to include them in our next update. We should have it ready before september even before if possible. It’s our first educational game so we hope to receive a lot of feedback positive or negative so we can take them into account in our updates and in our next educational project. 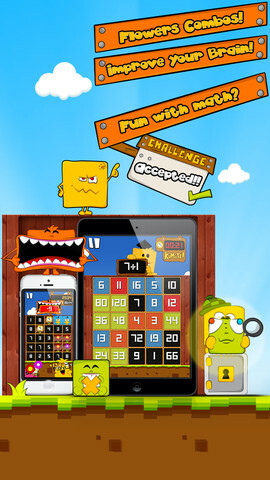 We hope people to have fun with our game. Thank you very much! Welcome to the world of Numbees! Explore mathematics! Multiplication Tables! Division! Addition! Subtraction! Learn tables or just exercise your brain! 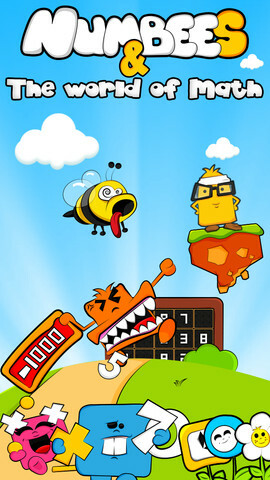 Practice mental arithmetic and have fun with the Numbees! Study the table carefully. In each mode, the player’s actions get an answer that facilitates the memorization of the tables. 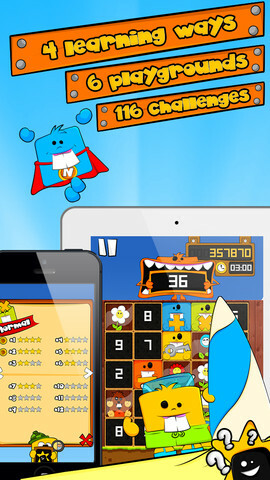 Numbees is a fast and fun way to learn how to count! 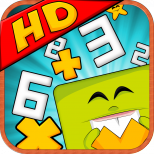 With endearing characters, the child learns all mathematical tables interactively, with pedagogy and above all with fun! ** Learning the tables smoothly (addition, subtraction multiplication and division). …combined with a real game!